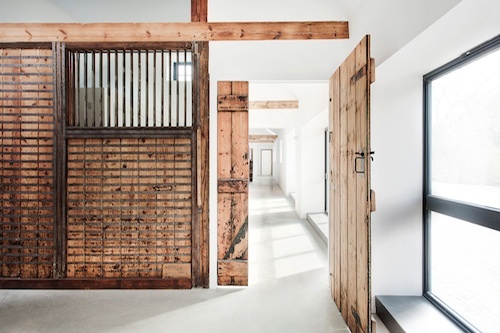 Edwardian stables that had fallen into disuse and become dilapidated have been transformed into an elegant and contemporary family home by AR Design Studio. 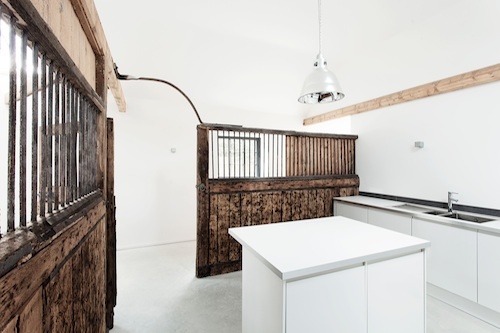 The historic stables had a straightforward plan that lent itself to conversion to a modern family home. 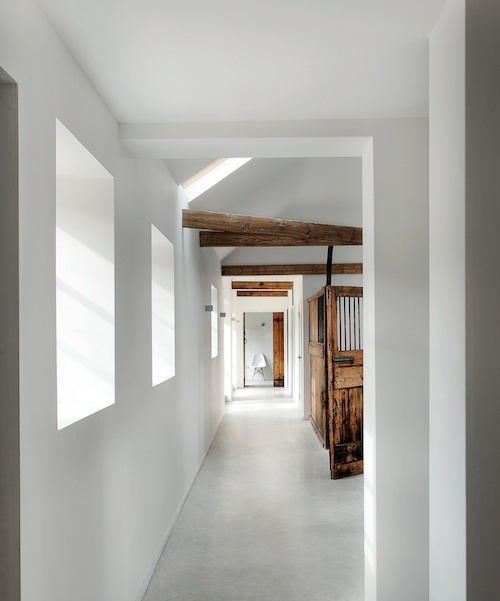 The approach was to create a gallery-like setting for the craftsmanship of the period. 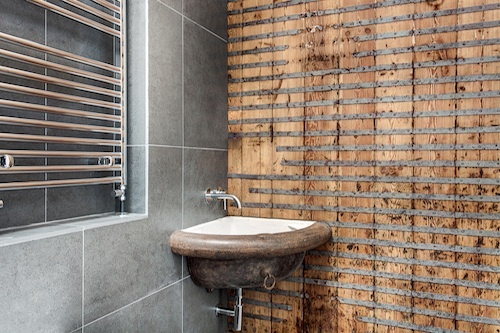 Original doors are preserved throughout to give a sense of rustic character. 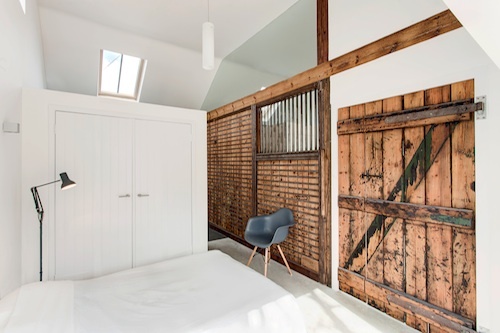 Gorgeous textural contrasts are created between the rustic and archaic materials of the old stables and the modern materials used. Now sunlight streams in through the new double-glazing that extends towards the ceiling. 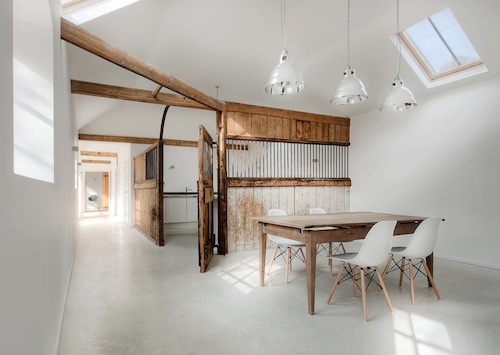 Abundant light is now bounced from these much larger windows and the white ceilings walls and floors to bring a suffusion of light into the new kitchen. 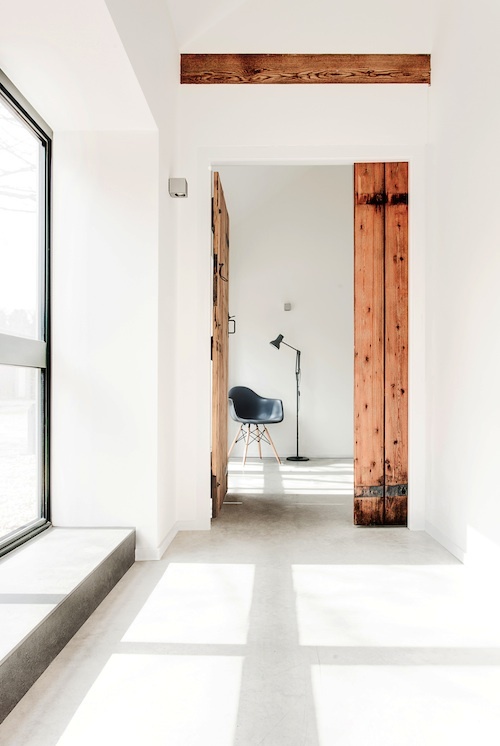 The entire property is super insulated, and the heated polished concrete floor throughout provides an art-gallery-like functional uniformity that positions the old doors like pieces of art. The ancient and modern create a happy mix. 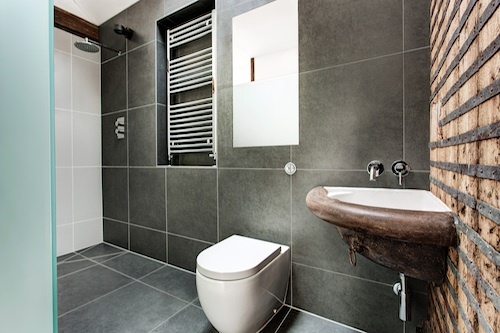 Horse troughs were cleaned and converted for use as sink basins and the old horse ties act as towel rings. 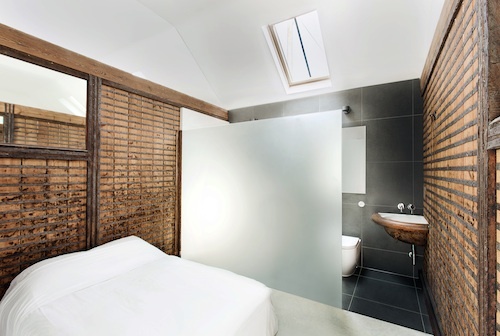 Clean, contemporary and neutral white walls juxtapose perfectly with the exquisite detailing and craftsmanship of the original timber walls. Now they stand out as remembered history against a beautifully simple contemporary backdrop. 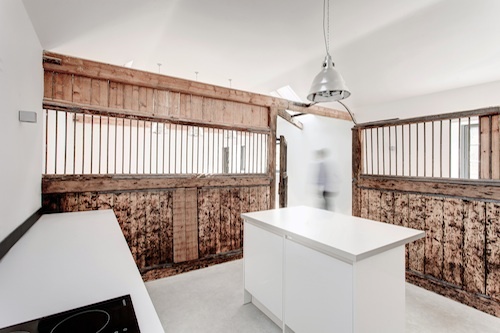 The result is a modern family home that is steeped in the poignant historical character of the original structure. 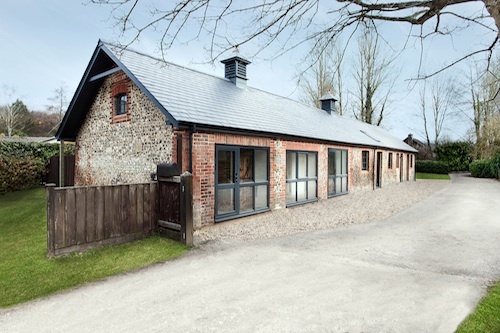 The architects have succeeded in creating a sophisticated, contemporary family home within the historical context of the old stables. 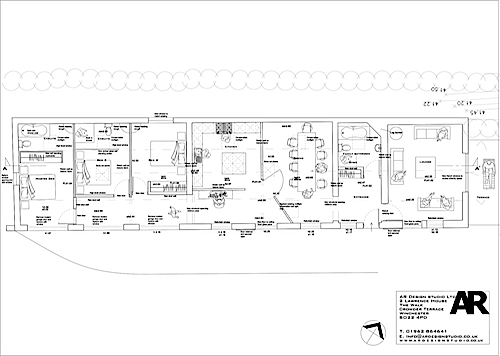 This entry was posted on Wednesday, September 11th, 2013 by Susan Kraemer and is filed under Architecture. You can follow any responses to this entry through the RSS 2.0 feed. You can leave a comment. Sign up below to receive our free e-book "A Guide on Decorating Your Home on a Budget", as well as exclusive Home Design Find content. © 2008 - 2019 HomeDesignFind.com | All Rights Reserved | Log in | Wordpress theme designed by Imar Krige.